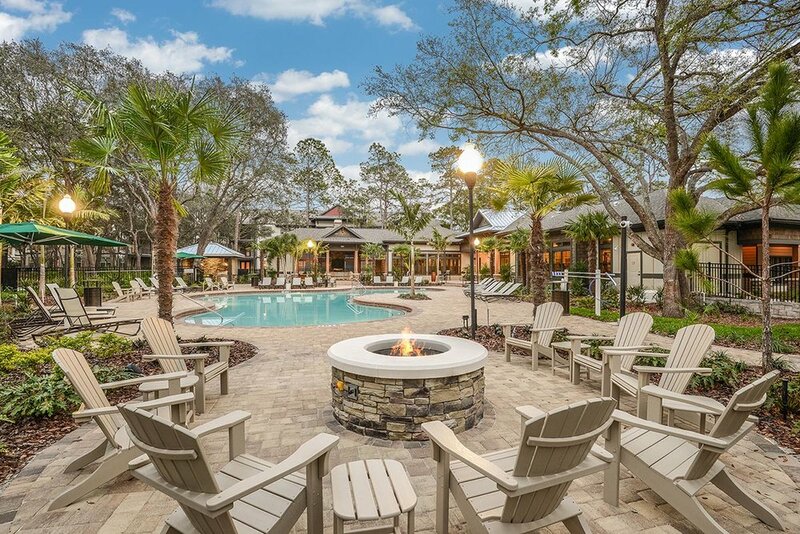 Minutes from shopping and outdoor recreation, The Lodge at Hidden River offers renters luxury apartments with chic, rustic amenities. The resort-style pool is accompanied by adjacent firepit and expansive covered cabana, perfect for entertaining in Florida’s warm climate. Additional amenities include fitness center, clubhouse with gaming, resident lounge, grilling stations and dog park.